If you are selling a home that needs minor or major upgrades, an FHA 203k Loan is one of many Mississippi renovation programs that includes funding for renovation costs in the original loan amount, at the time of purchase. Typically, Ridgeland Mississippi properties that need more than a little renovation work or upgrades are sold to cash investors at a discount due to the misconception that banks will not lend mortgage money on an uninsurable or unfinished home. Investors purchasing a home with cash are generally able to drive the price down below market value since they have to budget spending additional funds after the purchase in order to rehabilitate the property and get it ready for resale at a profit. However, if a buyer who actually plans on living in that home and neighborhood was able to purchase the distressed home and finance the renovation work into the original loan amount, then it is a win win for everyone. Not only does an FHA 203k Loan help preserve real estate values where it makes sense, but this Mississippi rehab mortgage program provides employment opportunities for the local construction industry. There are many ways that a local Ridgeland Mississippi 203k real estate agent with renovation experience can help sellers and investors market their distressed listings to buyers who will actually be moving in to these homes and begin the process of rebuilding our communities. You can also call us directly at (601) 401-6604 to speak with a licensed Mississippi renovation lender. What are a few possible upgrades allowed with a renovation loan? Based on traditional conventional mortgage underwriting guidelines, a property in need of minor or major repairs that impact the livability of the home are not eligible for financing. The FHA 203k and other renovation loan programs provide for additional funding to fix this problem, which will obviously benefit listing agents who need to reach a broader buyer market. Repair or replacement of roofs, gutters and downspouts. Repair, replacement or upgrade of existing HVAC systems. Repair, replacement or upgrade of plumbing and electrical systems. Repair or replacement of flooring. Weatherization, including storm windows and doors, insulation, and weather stripping. Purchase and installation of appliances (free-standing ranges, refrigerators, washer/dryer…). Repair, replacement or addition of exterior decks, patios, porches. Repair or replacement of septic system and/or well. Major rehabilitation or major remodeling, such as the relocation of a load-bearing wall. New construction (including room additions). Repairs requiring detailed drawings or architectural exhibits. Landscaping or similar site amenity improvements. Any repair or improvement requiring a work schedule longer than six months. 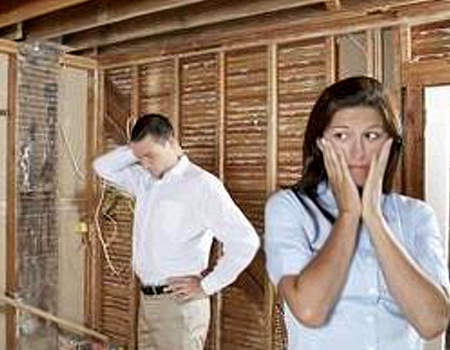 What types of properties can I finance with a renovation loan? These are mortgages that are bundled up with the cost of repairs included. Rehab loans are a great option to go with when considering financing uninsurable properties. Insurable properties are homes that are eligible for mortgage insurance and meet eligibility requirements through the FHA 203k mortgage with typically a 30 year fixed-rate term and has become quite the option for many first-time homebuyers. Uninsurable properties usually don’t qualify for FHA 203(k) financing guidelines due to extreme repairs exceeding $5,000, but homebuyers sometimes can purchase these homes with cash through HUD (Department of Housing and Urban Development). Uninsurable properties within escrow would qualify under FHA 203(k) Rehab Loan guidelines but an escrow is required for repairs; as long as repairs don’t exceed $5,000 with the exception in some cases of the 10% contingency causing an increase in the escrow. Keep in mind that all repairs must be done after closing of the property within 90 days of closing. The lender will be required to inspect and distribute any and all payouts. Also, the repair escrow in most cases must be set up by an FHA lender writing the loan. Uninsurable properties with 203(k) also does not qualify for the standard FHA mortgage but may eligible through FHA’s 203(k) rehab loan program or the streamlined rehabilitation loan. This option is for owner-occupied properties only and a majority of the time to homebuyers financing within cash. According to the National Association of Home Builders, 60% of residential properties listed in the past year were built before 1990. With a recent boom in housing prices, sellers are looking for ways to save money when preparing their property for market. 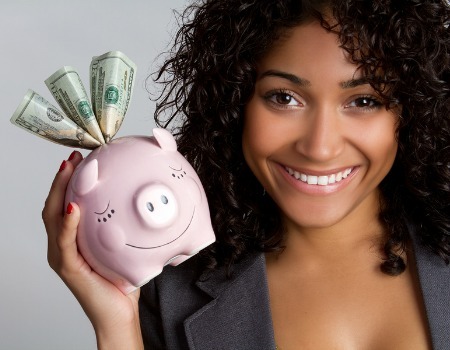 Where Does My Earnest Money Go When I Buy? With the low down payment requirements for many renovation loan programs, it is easy to confuse the earnest money deposit, closing costs and loan-to-value when submitting an offer to purchase a property. This guide will help you understand the difference. 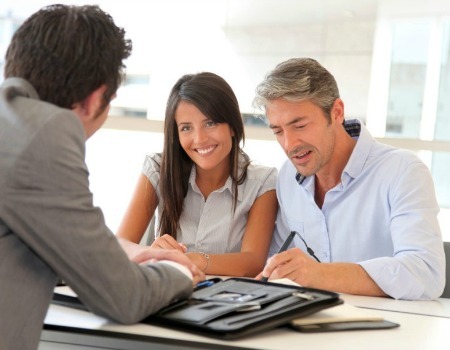 How Does My Agent Write A Purchase Offer? When purchasing a home using a 203k loan or other rehab mortgage program, there are a few things that a real estate agent should be aware of to help the offer is accepted and expectations are set appropriately to ensure a smooth closing. Can I Buy A Foreclosure Flip With 203k? 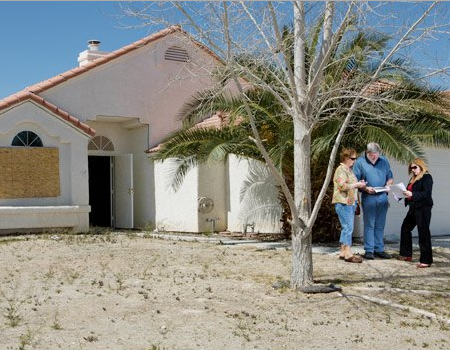 FHA and Conventional renovation programs have different guidelines regarding fix and flips when an investor purchases a foreclosure and then sells it to an owner-occupied borrower. It is important to know what type of properties to look at.